I am a graduate student in the Master of Environmental Planning and Design program at The University of Georgia. I invite you to participate in a research study entitled Athens-Clarke County (ACC) Bike Route Plan that is being conducted under the guidance and supervision of Dr. Pratt Cassity and the ACC Department of Transportation and Public Works. The purpose of this study is to create a Bike Route Master Plan for the South-East quadrant of the county. The primary objective is to identify and evaluate existing bicycle routes and propose a series of new routes to be established based on bicyclists needs. You must be 18 years of age or older in order to participate in this study. Your participation will involve completing a survey and should only take about 5-10 minutes of your time. Your involvement in the study is voluntary, and you may choose not to participate or to stop at any time without penalty or loss of benefits to which you are otherwise entitled. If you complete the survey on paper, your participation and responses will be anonymous. If you complete the survey online, there is a limit to the confidentiality that can be guaranteed since internet communications are insecure. Once the information is received by the researcher, standard confidentiality procedures will be employed. The results of the research study may be published, but your identity will not be associated with your responses in any format. The study will not benefit you directly, but the findings from this project may provide information that could be used to improve transportation choices in ACC. There are no foreseeable risks or discomforts associated with this research. If you have any questions about this research project, please feel free to call me at 706-247-6311 or send an email to annagore@uga.edu . You may also contact my advisor, Dr. Pratt Cassity, at 706-369-5868 or pcassity@uga.edu . Questions or concerns about your rights as a research participant should be directed to The Chairperson, University of Georgia Institutional Review Board, 629 Boyd GSRC, Athens, Georgia 30602; telephone (706) 542-3199; email address irb@uga.edu. By completing this survey, you are agreeing to participate in the above described research project. Thank you for your consideration! Please keep this letter for your records. Click here to take the Southeast Athens-Clarke County Bicycle Survey! 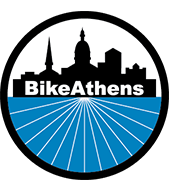 Southeast Athens Clarke County Bicycle Survey Happy Holidays from BikeAthens!